Target can be set back up with a pull cord once the target is anchored to the ground. Suitable for all power air rifles in any calibre. 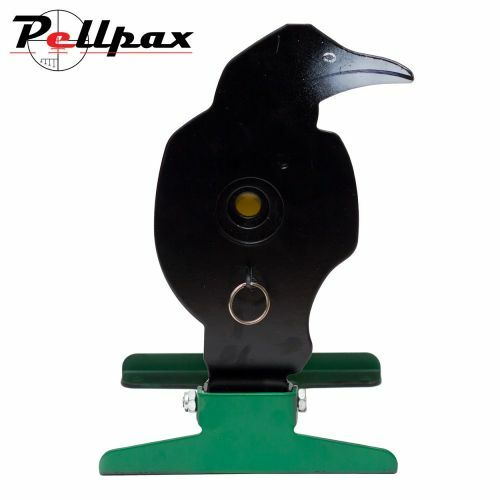 Features: Adjustable diameter kill zone from 40mm to 15mm. Heavy metal construction.